Luigi "The Italian Tank" Fioravanti (26-13) will have a title fight opportunity at M-1 Challenge 63. The event will take place in St. Petersburg on December 4th. Luigi leads 4-2 record in his latest 6th fights. In his recent fight he got a submission win over Sergey Kovalev at M-1 Challenge 59. Now he gets his chance for title at M-1 middleweight division. 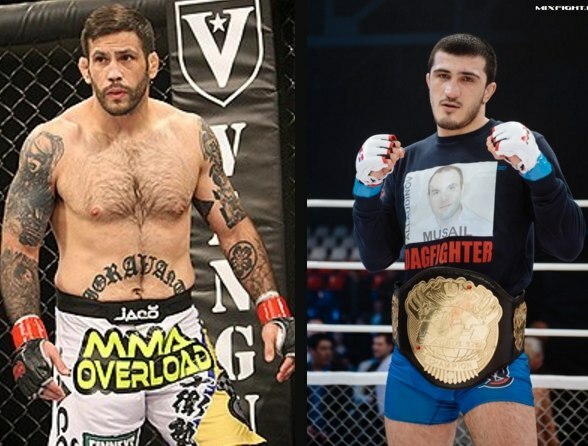 Ramazan Emeev (12-3) returned his champion's belt at M-1 Challenge 56, by defeating Slava Vasilevsky at M-1 Challenge 56 in April. Now Emeev will have his 1st title defence upon returning to the TOP of M-1 middleweight division. The main event of the evening will be another title fight between Stephan Puetz and Viktor Nemkov.